First, you pick the stones. Then, you put them in the right order. Finally, you “lock” them into position, using mud as your tool. And that’s how you create the renowned “xerolithia” (dry-stone wall). Xerolithia is only one of the distinct concepts attached to the famous Cyclades architecture. Residents of the Cyclades are well-familiar with the importance of this art, since proper masonry and structure have always been more of a means to survive, rather than a purely aesthetical choice. Pirates roaming the Aegean Sea in older years, forced the residents of Cyclades to build protected houses, one supporting the other, enclosed in a fortified castle, as those we see in Ano Syros, Antiparos, Folegandros and Sifnos. On the other hand, the strong sun of the Cyclades motivated them to create narrow stones and windows and the heat of the summer – as well as their effort to deal with a cholera epidemic – led to the selection of white lime for the houses’ walls. A characteristic opening on the houses’ northern side offers wonderful coolness during summers and protects them from the cold breezes of winter! The architecture found in Cyclades is a combination of the residents’ needs and the means available to builders at the time – who were, essentially, the residents themselves. The needs that defined this architectural style were not only related to survival, but also to daily activities. For instance, beautiful curved arcs allow houses to expand. Another common characteristic, “anogia” (loft-like structures) and “katogia” (cellar-like structures) are merely house expansions upwards and downwards. The former were used as typical stone bedrooms and the latter as cellars and storage houses. Thus, the houses in Cyclades were often developed into single or two-story houses with a characteristic use of stone dominating their construction, from the foundations to their balconies, indoor staircase and baking structures. The style is complemented by arched and sometimes flat roofs and an unbalanced look indoors, unexpectedly offering a sense of harmony, with the building’s practicality combined with its beauty and aesthetics. Buildings in Cyclades show us that the residents are trained in utilizing their natural resources and living in balance with them. Another result of this tendency is the “yposkafa” houses, that is, houses sculpted on natural, solid volcanic material, turned into a fully functional residence with some carving and the addition of a wall! A similar technique is also used in the creation of “syrmata”, that is, caves or seaside buildings turned into safe havens for fishermen’s boats with the addition of a usually colorful door. We find these constructions in Milos and Kimolos. 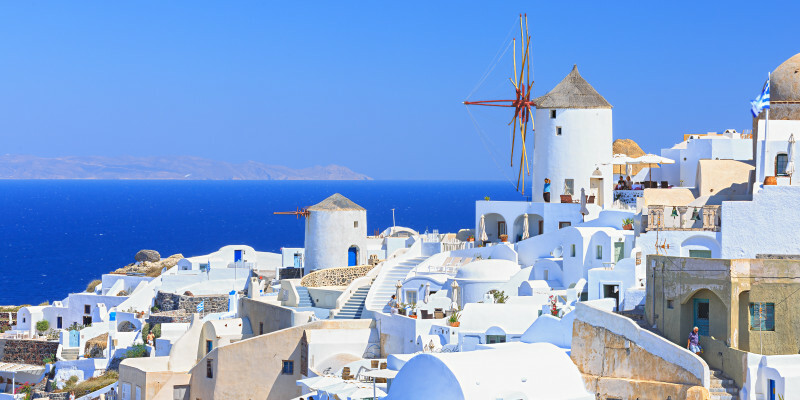 From practical houses to stone windmills, playful and operational dove cotes and impressive castle monasteries, the architecture of Cyclades is a testimony to beauty, self-sufficiency, wit and the history of the unique Cyclades! We will be happy for your opinions and suggestions to make our platform better for you.